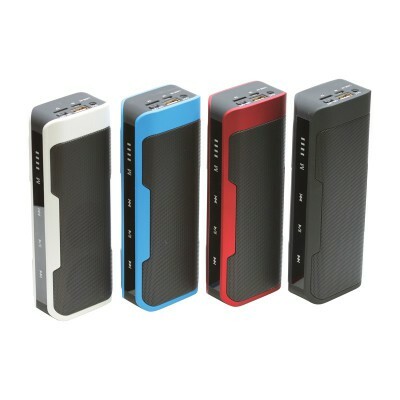 Bluetooth speaker and power bank with integrated 4000 mAh, A Grade Lithium polymer battery. Features include touch control, FM radio, TF card reader, audio line-in and built-in protection to stabilise the output voltage, prevent over charging and short circuits. Suitable for charging most devices, smartphones and tablets including iPhone, iPad, Samsung, HTC, Blackberry and Nokia. Includes USB to Micro USB charge and auxiliary input cable and user manual.